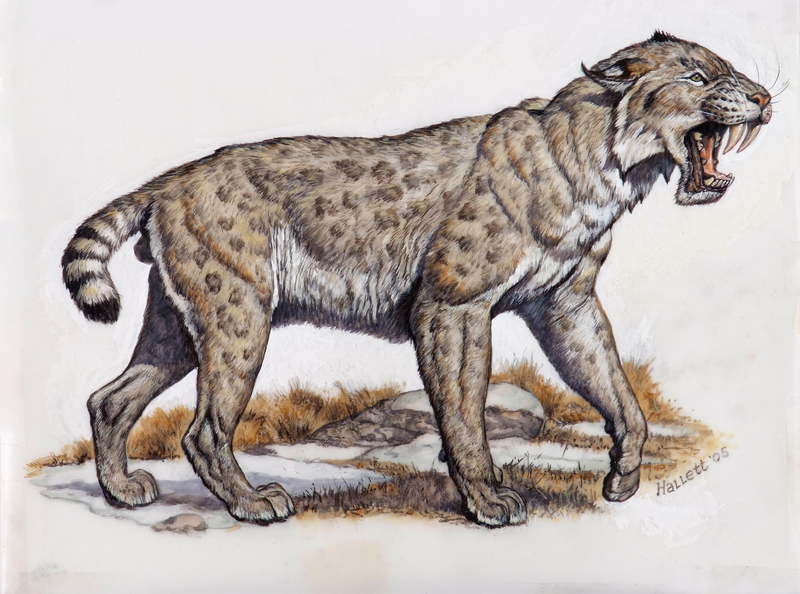 The latest in the (so far) very popular line of palaeoart interviews is with the legendary Mark Hallett. 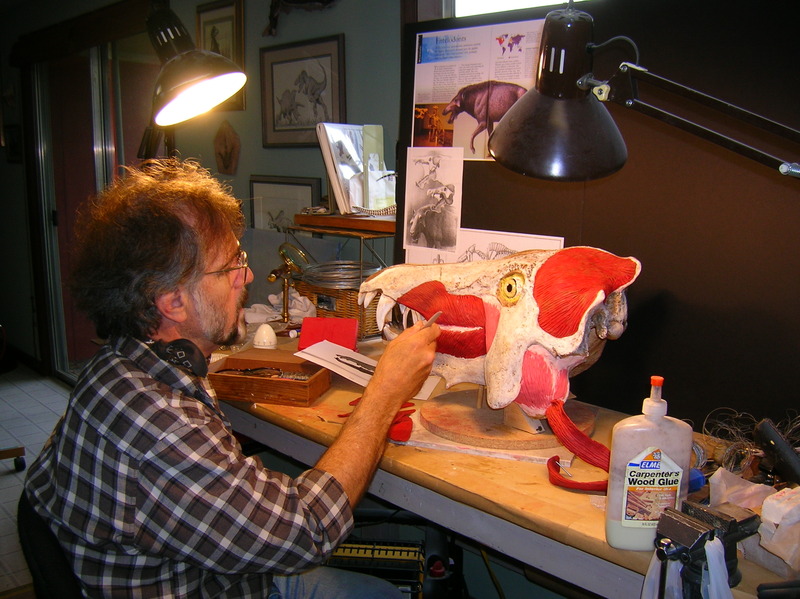 While many of you will be familiar with Mark’s dinosaur images, he does of course illustrate other things as well and is a notable sculptor and he has sent me a bumper crop of images to illuminate this interview. Beyond the interview you can check out more of his work at his website here, and he tells me that much of his recent work in association with wildlife conservation can be seen here, so do drop over a take a look. As ever, all the work is of course Mark’s and his intellectual property etc. 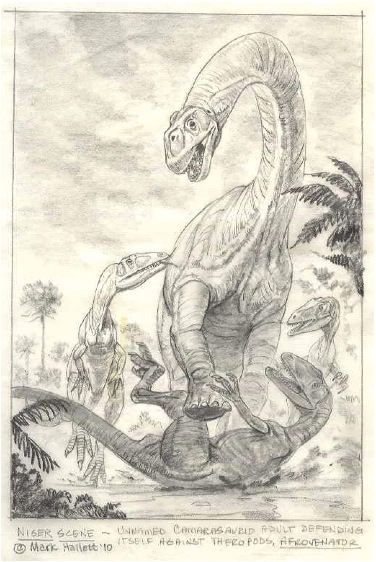 Not counting my first scribbles of sauropods at the age or 4 or so, I began around the age of 12-13. I’ve always been fascinated by anatomy, and began sketching the skeletons of dinosaurs and other animals as I imagined them, even though I had no references as to how they really looked! 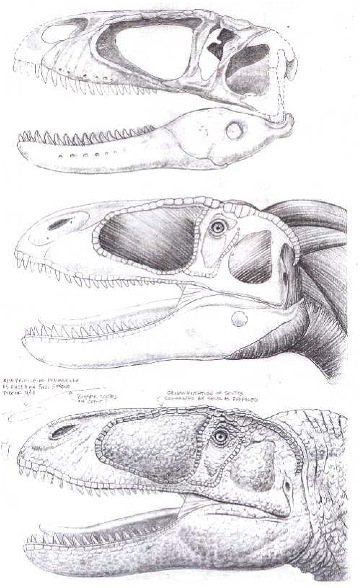 During my last year of college in 1972, my illustration teacher at Long Beach State University gave us the assignment of restoring a prehistoric animal of our choice: I chose the big Miocene pelagornid (bony-toothed) seabird Osteodontornis orri, producing a skeletal, muscular and life restoration in environment. It was a good choice, since an academic at the Los Angeles Museum of Natural History saw it and asked if it could be incorporated into the new Cenozoic Hall then under construction. It was my first real attempt at a paleorestoration. 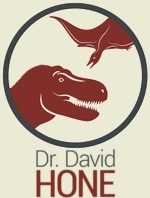 When I was a wee lad, my mother and father gave me a copy of Dr. Edwin H. Colbert’s 1954 The Dinosaur Book. It had a lot of Chas. Knight’s restorations in B&W, which I took to be photos of LIVING dinosaurs; when my dad finally got through to me that they were extinct I was crushed, but it kindled in me a fascination that’s never left. My art is really an outgrowth of my love and passion for nature. 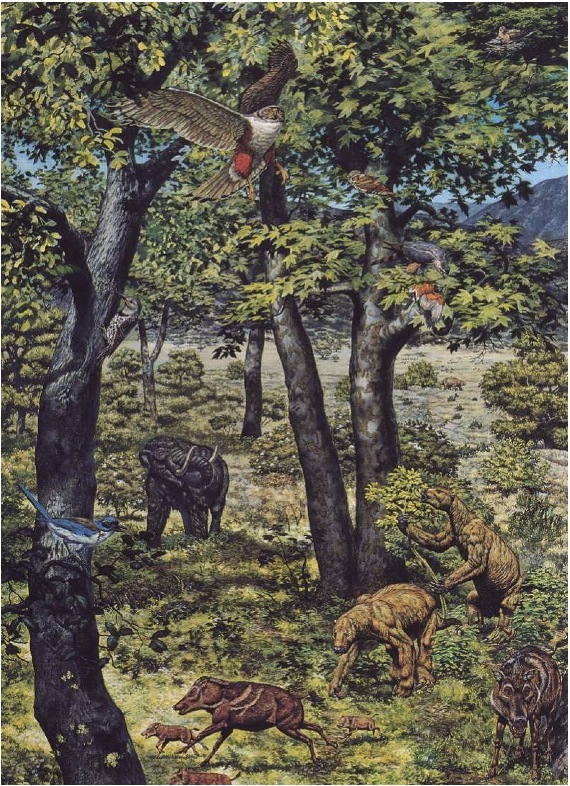 I’m seldom really satisfied with anything I produce, but if I had to pick a favorite or signature piece it would probably be “The Long March” (Seismosaurus Herd) that I did as the cover piece for Dr. David Gillette’s 1994 “Seismosaurus: The Earth Shaker” (Columbia U. Press). The lighting and sense of drama come closest to what I wanted to achieve, and as I painted in my mind, I kept replaying the “Oxcarts” movement from Mussorgsky’s Pictures At An Exhibition, replacing the carts with the sauropod herd coming closer and closer to the viewer, tails lashing and creating clouds of dust. (that piece shown below). My most loved, and most influential artist of the past, is still Charles R. Knight (1874–1953). His works, with their believable depiction of volume, drama, excellent compositions and sense of psychology derived from modern animals made the ancient creatures come alive for me. I’m a privileged caretaker of some of his smaller drawings and a painting. Zdenek Burian and Jay Matternes also have had a huge influence on my work. 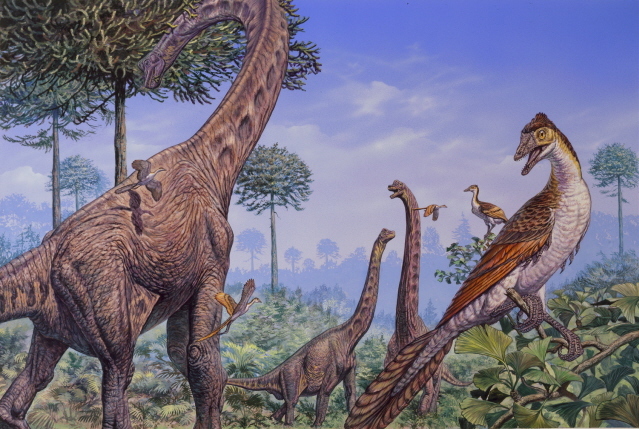 Definitely the sauropods, for all of their majestic grandeur, contrasts in bulky vs. slender shapes and paleobiological mysteries– they don’t really fit into any modern animal role, and there’s so much to learn about them. Of these, I’d have to choose the macronarian Camarasaurus– there’s something I just like about the shape of their heads. 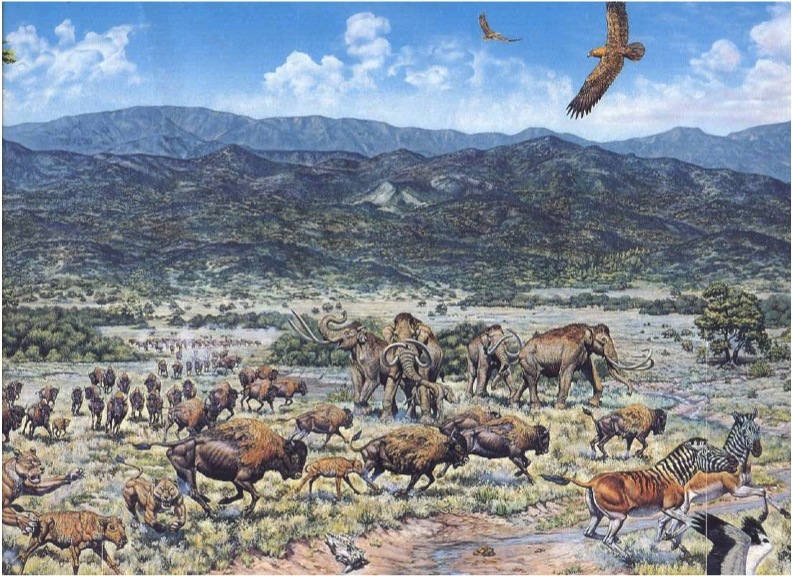 There are so many, but at the moment I’d love to do a herd of indricotheres, with maybe some calves being hassled by a few mesonychids like Andrewsarchus. Indricotherium is amazing for its size and yet relatively graceful proportions– I think Burian so far has created the best renditions of these. Marks' new sculpture "The Mammoth Hunter"
Probably an untiring dedication to trying to give the animals, plants or hominins a sense of the beauty and greatness that each species possessed. This includes doing everything one can to get the anatomy correct, to explore the best way to portray them and so strive for well thought-out, communicative art that incorporates the best knowledge that science can give us. His La Brea tar pits panorama is awesome. Sometimes pictures depicting all the animals of an ecosystem appear contrived and forced but his picture is so natural and flowing. Excellent artist with his own style. Thanks for the Camarasaurid sketch – sometimes I forget that epic painting like these start out as an idea in pencil and paper. Great post Dave! Lots of Marks stuff I hadn’t seen. 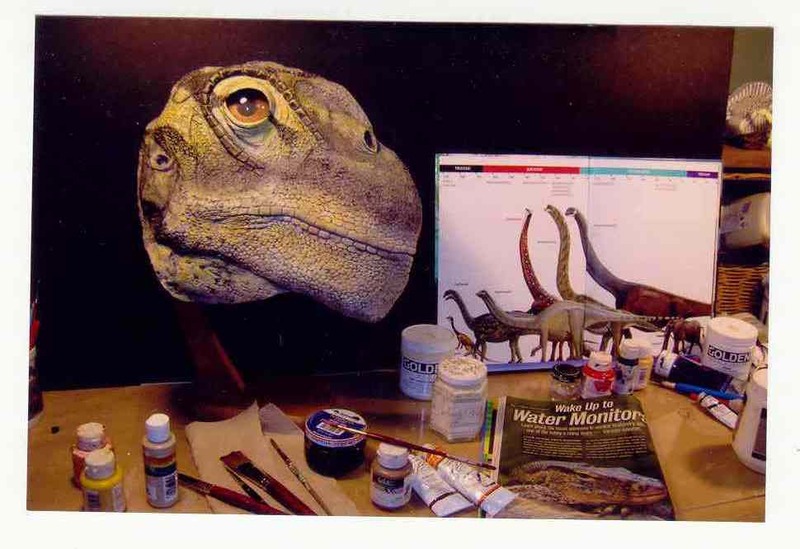 His restoration of Australian Dinosaurs in a late 80’s poster was inspiring to me. His colour choices in that image were particularly cool, and all the animals were restored in a very contemporary way. I had the honor of meeting and talking to Mark at SVP last year. 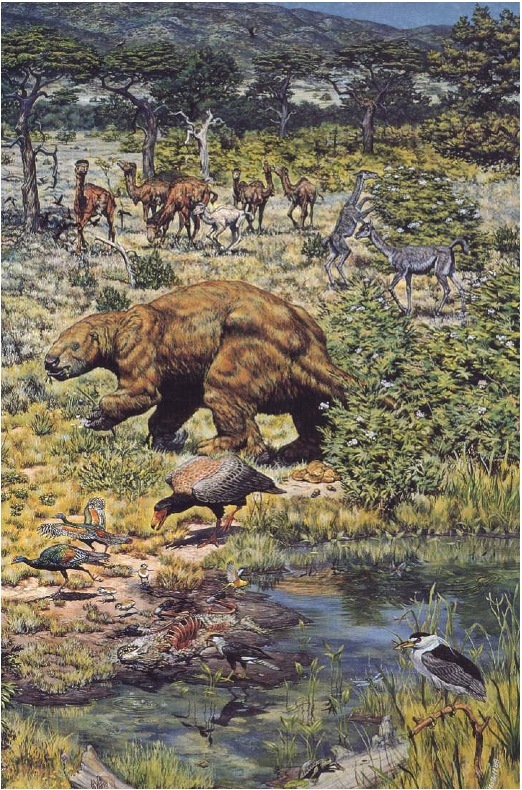 Really one of my favorite paleo-artists, Mark incorporates every aspect of the paleoenviornment in his paintings, which I love. I’d never seen that sloth painting. It’s very beautiful! I like how the Neanderthal looks. 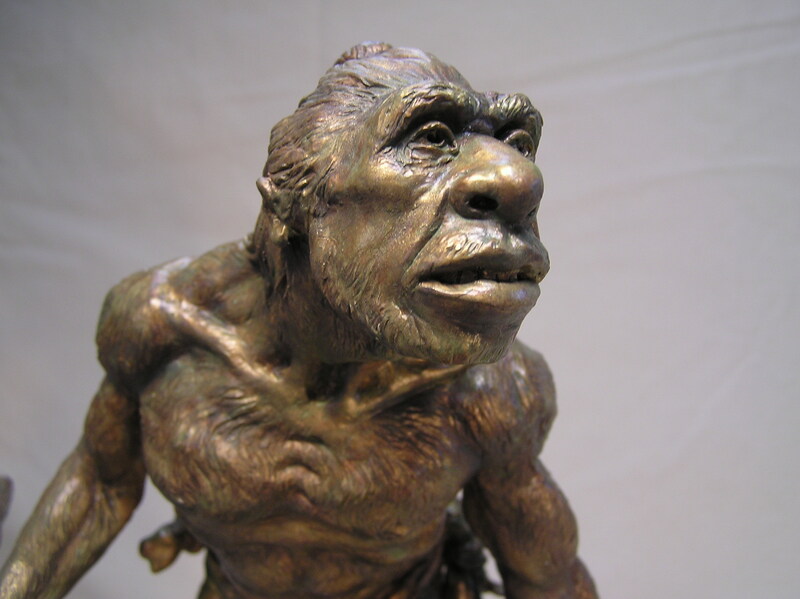 I am tired of seeing Neanderthal reconstructions nowadays that look too much like California surfers. Handsome by 21st-century American standards, he was not!